To access, drive to signposted road on Coles Bay Road (C302), app. 8km North of Coles Bay turnoff off A3. Turn left and continue for app. 2-kilometres to campground along the dirt road. 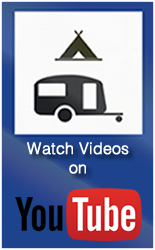 Suitable for campervans, motorhomes, caravans and tent camping. This is a fantastic campground, located close to Coles Bay and offering spectacular scenery. Walk along the beach at dawn or dusk and you may be lucky enough to see a Wedge Tail Eagle or White Sea Eagle. 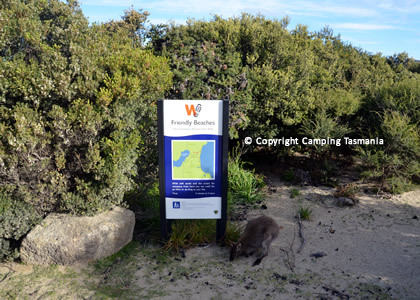 There are many wallabies at this campsite, which are very friendly, Do not feed under any circumstances.